Comments: James Emory (Nee: ) | Baltimore City MD United States | 1941-1960 | Comments: James Emory was the son of a freed black slave from Kentucky. 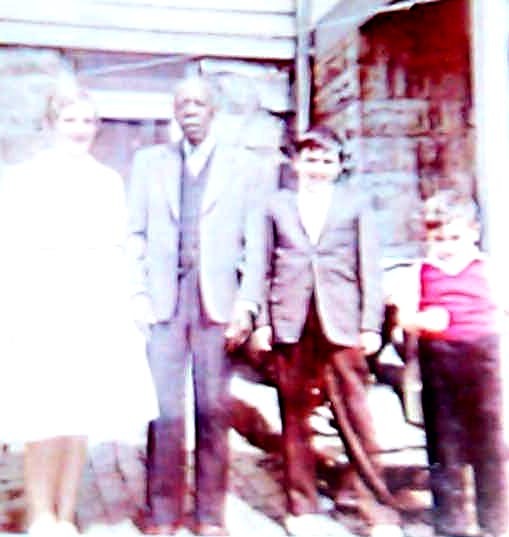 James came to live in Baltimore and was the childhood friend of J. Henry "Harry" Riefle. James grew up to work for Harry, being a gardener and caretaker for the property of Harry's father on Reisterstown Road. He was a kind, gentle and respected man to all the Riefle children and was loved by all who knew him. He lived modestly and was remembered to have a portrait of Abraham Lincoln above his bed. His birth and death dates and burial are unknown. He is pictured with some of the Riefle grandchildren.